Stinging insects like bees, yellow jackets, honeybees, bumblebees, hornets, and wasps might just be the scariest type of pest infestation you can imagine. In addition to the damage they can cause to your home or business, their stings can be painful and, in some cases, deadly. If you detect a stinging insect invasion, do not attempt to take care of the matter yourself! Call Essential Pest Management right away so that we can remove the problem quickly and safely. Stinging insects build their nests or hives in places like under eavestroughs, in walls, attics, dormers, under porches, in garages, woodpiles, in old tires, and in trees. If you see an inordinate number of bees or stinging insects around your home, there is a good possibility that a nest is close by. To protect your loved ones, your pets, and your customers from stings, you need to act quickly. Call us right away; in many cases, we can send a technician out the same day to assess and eradicate your stinging insect problem. Stinging insects don’t often go after humans as a rule, but if they feel threatened, they certainly will. For instance, if you have a wasp’s nest near your front door or under your porch, the insects may feel threatened every time you walk by, which will prompt them to attack – a very scary prospect! While not all stinging insects have poisonous venom, many do have a bite that can be very harmful to anyone who is allergic. If action is not taken immediately, allergic individuals may die. 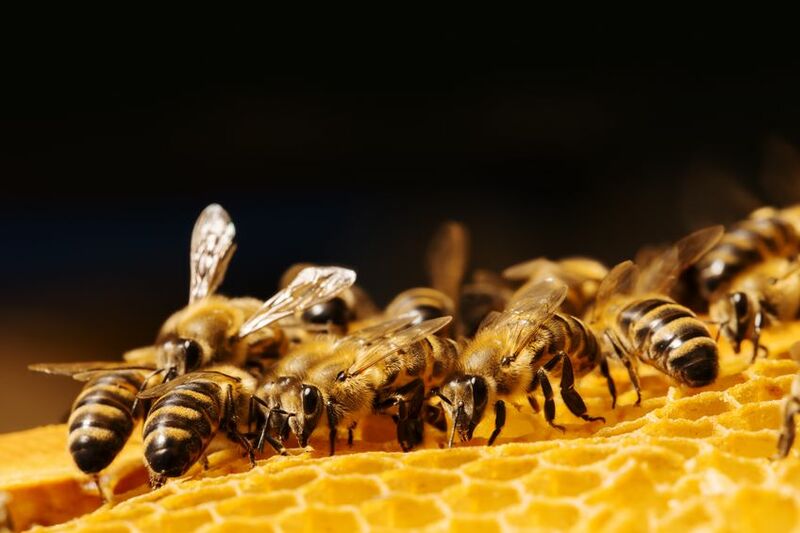 While you can’t simply stop a bee or a wasp from being on your property at all, there are many things you can do to limit potential exposure and keep the nests away from living areas. Our methodology depends on the type of stinging insect in question. No matter what type of nest you have found, do not attempt to take matters into your own hands! Call Essential Pest Management right away and deal with stinging insects safely.